Fulfilling Commitment. Spreading Happiness. Making A Better World. Rittal - Powering Reliable Solutions for Arvind Ltd.
Mahindra Susten is the Leading player in Indian Solar Energy Sector. The ‘Cleantech’ arm of Mahindra Group, Mahindra Susten were looking for service providers of enclosures for the Solar Tracker Panel at their sites. Understanding Single Axis Solar Tracker (MSAT100)? To capture maximum solar insolation, a solar tracker system is designed which changes its position automatically in accordance with the sun’s movement. MSAT100 is one of the most popular tracker systems to be used. It ensures a perpendicular incidence between the sun and the panel due to a degree of freedom that acts as an axis of rotation. The advanced tracking algorithms allow the movement of the tracker in any directions. As these tracker panels comprise an array of layouts, it was very crucial to safeguard all its features from external forces. Mahindra Susten were intently pursuing a Sustainable outdoor Enclosure provider for their Solar Tracker Panel. 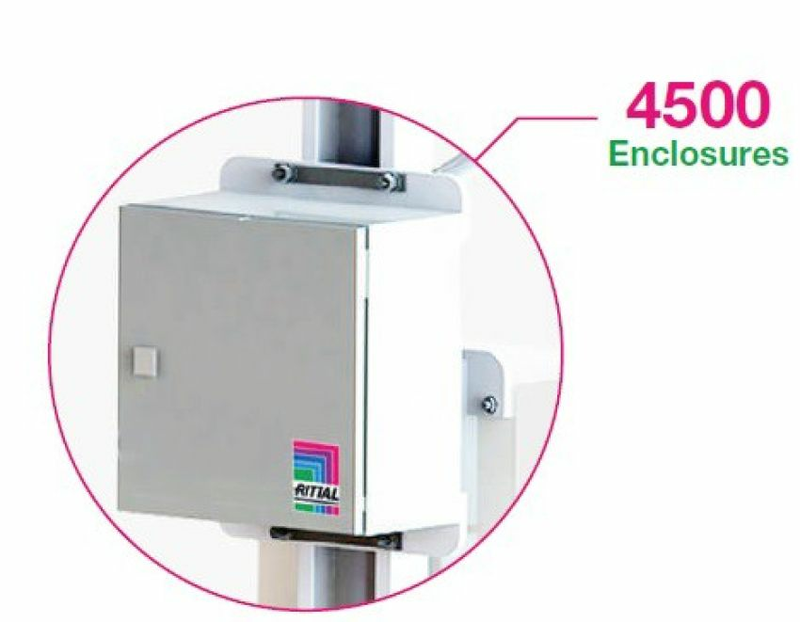 Although surpassing the competition from the Local Panel Fabricators was not difficult, it was after the definite study by our engineers that we could suggest Mahindra Susten to adapt Rittal Enclosures. We developed specific enclosures in EB series made with Pure Polyester Powder Coating. Our Enclosures abide the standard IP 55 characteristics which essentially states, protection from external forces like dirt, dust, oil, water and other non-corrosive materials. 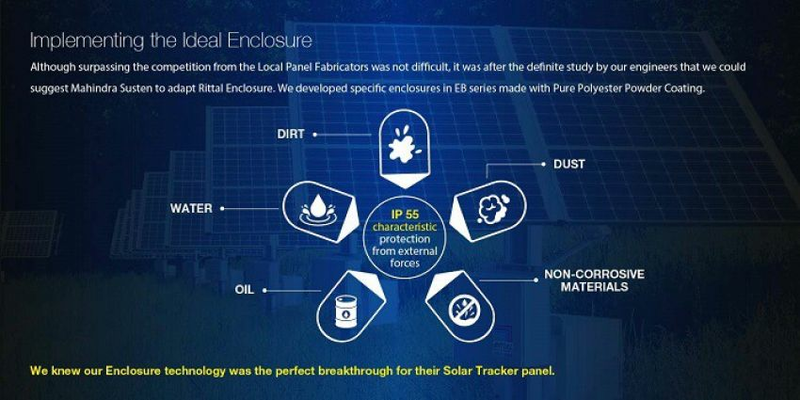 We knew our Enclosure technology was the perfect breakthrough for their Solar Tracker panel. Our understanding helped us in developing the perfect custom enclosure based on their requirements. The representative from Mahindra Susten was convinced with the solutions provided by Rittal. The leading player in Indian Solar Energy Sector, Mahindra Susten had a cumulative figure of 2449MWp which is under various stage of execution. Our expert solution helped us to further cement the relationship with 4500 enclosures that were dispensed till date. Rittal proudly associates with Mahindra Susten in building Clean Technology for the future of our country.